Although really visiting Yorkshire to look for somewhere to live, I took the opportunity yesterday to take a short walk around the Castle Howard Arboretum to begin to get to know it a little better. It's going to take a long time! ﻿Making a real contribution to the garden at the moment is a bush of culinary sage, Salvia officinalis, with pink flowers instead of the usual soft lavender colour. By chance it's planted just where a shaft of evening sunlight hits it, and this really makes it glow, particularly lighting-up the reddish calyces. The leaves are typical sage-green, and are excellent for culinary use: I like to use them chopped up with breadcrumbs to make a crust on a slow-cooked piece of pork. This plant was grown from a cutting struck by my mother from a plant in their garden, where it has grown since I was first given it as a cutting in about 1996. 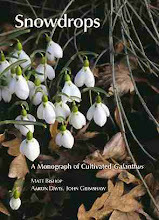 It came from the late Natalie Garton, then Secretary of the Oxford & District Alpine Garden Society Group, who is also immortalised as a snowdrop. She died of breast cancer not long afterwards, and I've always called the plant "Natalie Garton's pink sage" valuing it for the memory of a friend as well as its horticultural merits. Beyond her garden at Ramsden in Oxfordshire I never knew anything about its origins, but at the garden party here ten days ago its history was revealed. Heather Aplin, another long-standing Oxford AGS member, had been with Natalie at a garden centre near Oxford one day, and together they spotted a pink-flowered sage among a batch of blues, possibly a seedling or a mixed-in plant of the known cultivar 'Rosea'. Heather advised Natalie to get it, which she did: the circle was completed by Heather taking cuttings from my plant. (the red poppy patrol has not been active this year). Beautifully kept hedges at Covertside. Carefully managed turf full of wild flowers, with the garden behind. John Sales and Sibylle Kreutzberger. A corner of the Collins's garden. Our conversazione was held in the garden of Catherine, Chris and Nicola Collins in the village of Haddenham, Buckinghamshire. They too had had torrential rain in the morning, but it passed just before we arrived and the rest of the afternoon was perfect, giving us chance to explore a very interesting, evolving garden, as well as enjoying good company and a sumptuous tea of sandwiches and cakes (kindly provided by the committee). Nicola has a collection of the genus Arum, of which a few A. concinnatum remain in flower. I had not previously realised quite how appallingly malodorous they are, but at least they have the decency not to stink until late in the afternoon and we got through tea unassailed, but the full force hit us at the plant stall afterwards. Celia Sawyer proffers a particularly delicious fruit and cream flan. Meconopsis napaulensis (as labelled, probably a hybrid), on Battleston Hill. A meeting at Wisley yesterday gave me the opportunity to have a walk round part of the garden with Matthew Pottage, the Garden Manager responsible for most of the hardy ornamental plantings. In bright warm sunshine it was a very enjoyable treat and Wisley is looking in great shape. Unfortunately the meeting 'went on' somewhat - blame the chairman - and there was no time to look around further afterwards. Here are a few things that caught my eye. New growth on Pinus montezumae 'Sheffield Park'. A mass of Sisyrinchium striatum on the Mediterranean terraces - common and weedy perhaps, but spectacular in a drift like this. Arisaema tortuosum and other Sino-Himalayan delights. Cornus kousa 'John Slocock' - an exceptionally good dogwood. The new Rose Garden, now in its second full year, is looking absolutely fantastic, with the roses successfully commingled with perennials and other shrubs. David Austin roses in the background, with Cornus alba 'Aurea' and Geranium 'Orion' in front, demonstrating the quality and vibrancy of the plantings in the Rose Garden. For once the planting plans were drawn up by Wisley staff, not an imported garden designer. 10 a.m.: the border with large bare gaps. Last summer it became apparent that the big herbaceous border at Colesbourne Park had become rather weedy (mostly with nice weeds) and that the original planned planting put in in 2004 had lost its definition. 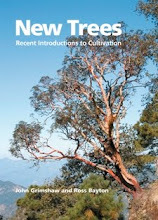 I therefore decided that it should be renewed in 2012 and in the autumn clearance dug out many of the perennials. Well-established clumps of good things were left in situ - peonies, oriental poppies, iris, etc, but then and over the course of this spring most other things have ben removed. The process has been delayed by the weather and one thing or another, but with the village fete imminent (Saturday!) it was critical to get it replanted. In March and April I had propagated a lot of perennials from both the cottage garden and Colesbourne Park, filling the polytunnel with them and tender perennials overwintered in the greenhouse. Many could have done with being planted out or potted-on some time ago, but yesterday and this morning Will Fletcher and I wheeled out everything that could possibly be used and set them out on the path (below). 10.30 a.m.: plants brought from the polytunnel. I then set them out in the border, shamelessly without a plan, but with some knowledge of capabilities and good combinations, and fitted them into the spaces between the remaining plants: some small, others quite wide. Not the conventional way of arranging a border, but it can always be adjusted if something isn't right. 1 p.m.: 470 plants set out for planting. After lunch Will and I set to planting-out, very conscious of the weather forecast and the deluge waiting to come in from the west. We got the plants in by 4 pm - a pot count afterwards revealed that we had used 470 plants, with ten left over, and had just finished tidying up when the rain started at 4.30. (It is continuing, hard and steady, as I write, watering everything in well). I won't be here to see it in full glory in late summer, but I'm looking forward to watching the plants respond to their release from their pots over the next few weeks and thicken up into decent clumps. 4 p.m.: border fully planted. Lupins are a rare sight on alkaline Cotswold soil, but flourish at Sandywell Barn House. A view down the carefully designed but generously planted borders. Continuing my belated exploration of local gardens, this morning I visited Sandywell Barn House, Whittington, where the garden was open today for the National Gardens Scheme. The Yellow Book entry says that it is a 'Plantaholic designer's own 2 1/2 acre walled garden. Maintained by owners [Shirley and Gordon Sills]. Exuberantly planted for form, scent and colour, featuring areas both traditional and contemporary.' For once the description was accurate, with a great deal of interest and charm to see, and I thoroughly enjoyed the visit. Today was the last opening of the season, in their ninth successive year of opening - I shall remember the visit by a beautiful old bearded Iris cultivar kindly dug up for me by Mrs Sills. Deliciously scented Rosa spinosissima cultivars are given prominence and were at their peak today. A strikingly coloured Dutch Iris cultivar cunningly planted in rougher vegetation that hides its leaves. The old Iris cultivar I begged a bit of: I like the pink pencilling on the falls. The cottage garden this afternoon. After the horrible weather of the past two days, when the only sensible option was to cower indoors, today's interlude of fine calm weather was extremely welcome and it was a pleasure to get out into the garden. The storm has tousled a few things, and knocked over a few others, but has done no significant damage here. This pink Sibirica seedling 'grows on me' each year; its sturdy stems remain upright after the gale. A vigorous clone of Chives, Allium schoenoprasum, standing solidly at 65 cm. The Sebrights enjoyed their afternoon out.